Palo Alto, CA (SS/L PR) – Space Systems/Loral (SSL), a leading provider commercial satellites today announced that it has been selected to develop designs, processes and business terms for carrying small science and technology missions to space on its geostationary (GEO) satellite platform. Under phase two of the U.S. Defense Advanced Research Projects Agency (DARPA) Phoenix program, SSL intends to detail the design and implementation processes for affordable delivery of small spacecraft beyond Low Earth Orbit (LEO). The goal of the revolutionary Phoenix program is to enable cost-effective repurposing of serviceable space hardware that is already on orbit. The capability that SSL is developing for Phoenix is also expected to enable other future operational, science and technology space missions. SSL regularly works with a broad range of commercial satellite operators and has experience putting small government missions onto commercial spacecraft in order to reduce costs for both parties. 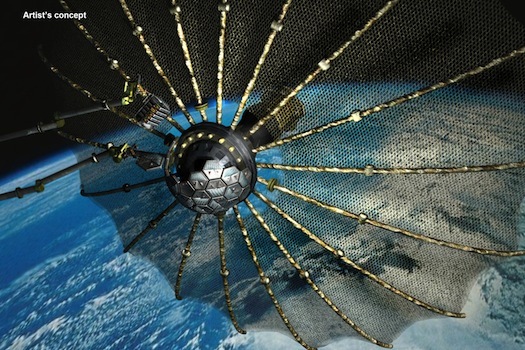 SSL intends to work with both its commercial customers and DARPA to facilitate this type of arrangement for the implementation of the Phoenix program. SSL, a subsidiary of MDA, has a long history of delivering reliable satellites and spacecraft systems for commercial and government customers around the world. As a leading provider of commercial satellites, the company works closely with satellite operators to provide spacecraft for a broad range of services including television and radio distribution, digital audio radio, broadband Internet, and mobile communications. Billions of people around the world depend on SSL satellites every day. For more information, visit www.sslmda.com. MDA’s business is focused on markets and customers with strong repeat business potential. In addition, the Company conducts a significant amount of advanced technology development. MDA’s well-established global customer base is served by more than 4,500 employees operating from 11 offices located in the United States, Canada, and internationally. MacDonald, Dettwiler and Associates Ltd.’s (MDA)common shares trade under the symbol TSX:MDA.